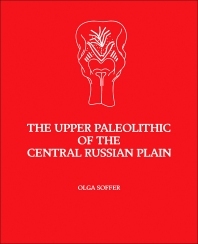 The Upper Paleolithic of the Central Russian Plain examines the hunter-gatherer adaptations on the Upper Paleolithic central Russian Plain. The book offers both a culture history for the area and an explanation for the changes in human adaptation. It presents what has been found at 29 major Upper Paleolithic sites occupied over a period of some 14,000 years. The book presents details of the archaeological inventories and assemblages found at the 29 sites, together with the geography and geology of the study area. It then uses environmental data to model environmental conditions and resource distribution during the various periods of human occupation, as well as to predict optimal strategies for exploiting available resources. Subsequent chapters present the relative and chronometric dating schemes. The book also elucidates the man-land relationships, ensuing subsistence strategies, settlement types present in the archaeological record, settlement systems, and sociopolitical behavior. The text will be significant to archaeologists, paleoecologists, and anthropologists interested in hunter-gatherers and late Pleistocene adaptations. The Bryansk Interstadial: 27,000-24,000 B.P. Environment between 24,000 and 20,000 B.P. The Valdai Maximum: 20,000-18,000 B.P. Climate after the Glacial Maximum: 18,000-12,000 B.P.